In April Bill Wilson and Lillian Kar Wilson passed away within minutes of each other. What was so special about this couple was that they were high school sweetheart and had been married for 73 years (source). Many aging adults find themselves in a much different situation than the Wilson’s. In 2009, seventeen percent of singles, 16.2 million individuals, were 65 years or older (source). 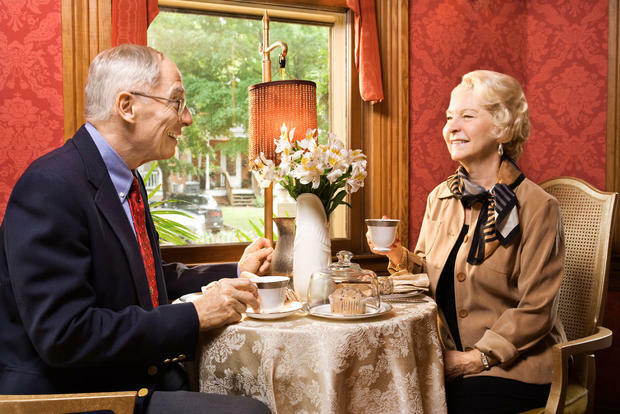 With this many senior singles it is no wonder why dating among seniors has become a much talked about topic.Then are several important benefits that aging adults can receive from dating. Having someone beyond friend or family where one can have intimacy and companionship is important for all human beings. Aging adults who live alone and have less social contact can become withdrawn and may be more susceptible to health issues. According to eHarmony, there are several strengths that mature singles can offer to a partner including knowing themselves, being better able to assess potential partners, clearer sense of what is important, and realistic expectations. However, seniors may also face some obstacles in dating such as grieving past relationships, grown children that object and health conditions. No matter what the obstacle to dating is, it may be important for your emotional and physical wellbeing to begin to date or at least be more social if you’re a single aging adult. This post is provided by Sprain Brook Manor Rehab which Provides unique opportunity to recover from medical procedures that result in true satisfying results. Getting you stronger and better every day. Contact us today to receive more information.Disclaimer: The information provided in this post in not intended to be construed as health advice, nor should it be considered a substitute for obtaining individual medical counsel or consulting your physician.